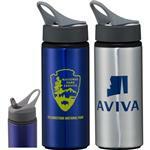 The ultimate insulated water bottle. 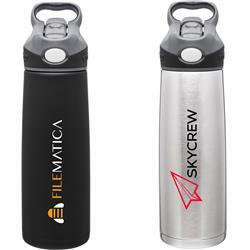 20 oz double wall stainless steel bottle with vacuum insulation, AUTOSPOUT silicone spout, and one-touch push button lid. 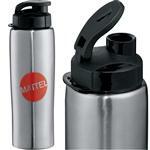 The Contigo Sheffield is the ultimate vacuum sealed bottle. Production Times Available: 5 business day production is standard. Rush available, please call! Available Imprint Options: Screen. For an additional color imprint please inquire.